Lamictal XR is the brand name of an anti-seizure medication called Lamotrigine. Lamictal XR is produced by GlaxoSmithKline. It’s used in combination with other medications to treat partial seizures in people 13 years and older. 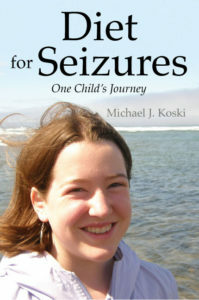 It’s a preferred seizure medication because it’s only taken in one daily dose. The XR in the name stands for extended relief. The medicine is released into the bloodstream in a steady level throughout the day. It’s important to take Lamictal XR at the same time each day, perhaps associating it with getting up in the morning or at a regular meal. That way the dose will maintain a consistent level and it will be easier to remember to take. If a dose is missed, a double dose should not be taken. Lamictal XR shouldn’t be crushed or mixed with anything, but taken whole. It should be stored at room temperature, not in the refrigerator, and obviously kept away from children. How does Lamictal XR work? The proposed mechanism of action for Lamotrigine involves an effect it has on sodium channels, while this in not established in humans. In vitro pharmacological studies it inhibits voltage in sensitive sodium channels, stabilizing neuronal membranes. Consequently this modulates presynaptic transmitter release of excitatory amino acids such as glutamate and aspartate. What is the history of Lamictal XR? In December 1994 Lamictal was approved for use in treatment of partial seizures. In August 1998 it was used as an adjunctive treatment of Lennox–Gastaut syndrome in pediatric and adult patients. It was available in a chewable, dispersible tablet. In December of 1998 it was used as a monotherapy for treatment of partial seizures in adult patients when converting from a single enzyme-inducing anti-epileptic drug (EIAED). In January 2003 Lamictal began to be used as an adjunctive therapy for partial seizures in pediatric patients as young as two. In June of 2003 it was initiated as a maintenance medication for Bipolar I disorder, the first since lithium. In January 2004 Lamictal was used as a monotherapy for treatment of partial seizures in adult patients when converting from the anti-epileptic drug valproate, including valproic acid (Depakene), sodium valproate (Epilim) and divalproex (Depakote). What are common Lamictal side effects? Common side effects from Lamictal use include headaches, dizziness and insomnia. Other side effects may include acne or skin irritation, nightmares, night sweats, body cramps and aches, muscle aches, dry mouth or ulcers, fatigue, damage to tooth enamel, memory or other cognitive problems, weight changes, irritability, hair loss, changes in libido, frequent urination, appetite changes, nausea and other side effects. Very rarely Lamotrigine has been known to cause a dangerous rash called Stevens-Johnson syndrome (or SJS). The rash is more common in children, consequently this medication is often reserved for adults. What is the average Lamictal dosage and cost? When it comes to Lamictal dosing there are specific guidelines. It should be started at a low dose and increased slowly. The beginning dose will depend on various factors, such as other medications being taken, age, weight and any other medical conditions. The dosage varies from 25 mg to 200 mg. For 90 pills of 25 mg the cost may be about $55.00, depending on state and country. For 90 pills of 200 mg. one might pay as much as $385. The generic Lamotrigine, 25 mg, 100 pills can be almost half the cost of the non-generic. For the 200 mg, generic, 112 pills, the cost may be about $87.00. These costs don’t include doctor’s fees and other expenses.